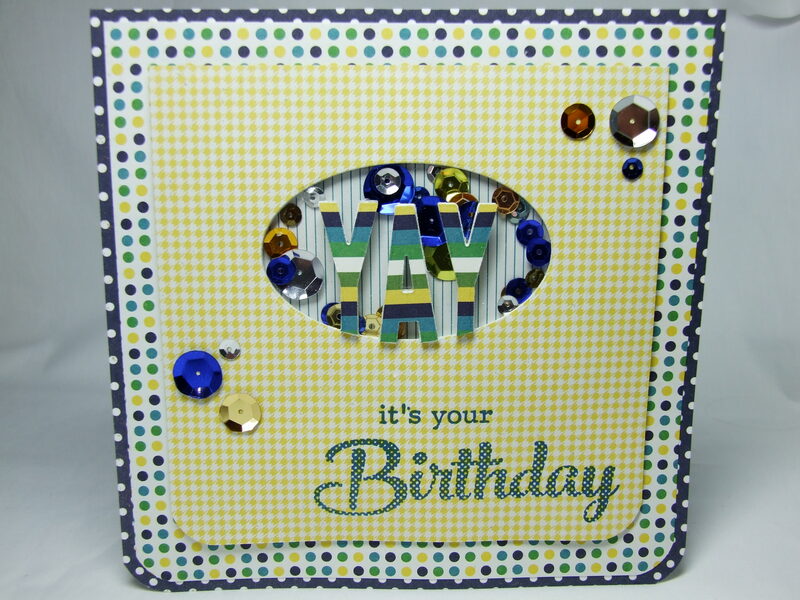 I used:MME Kate & Co ‘Oxford Lane’ cardstock, Clearly Besotted stamps, ‘Yay’ shaker die, funky foam. acetate, sequins, Memento Nautical Blue inkpad and a WRMK Corner Chomper. < Previous “It’s a Girl!”……. 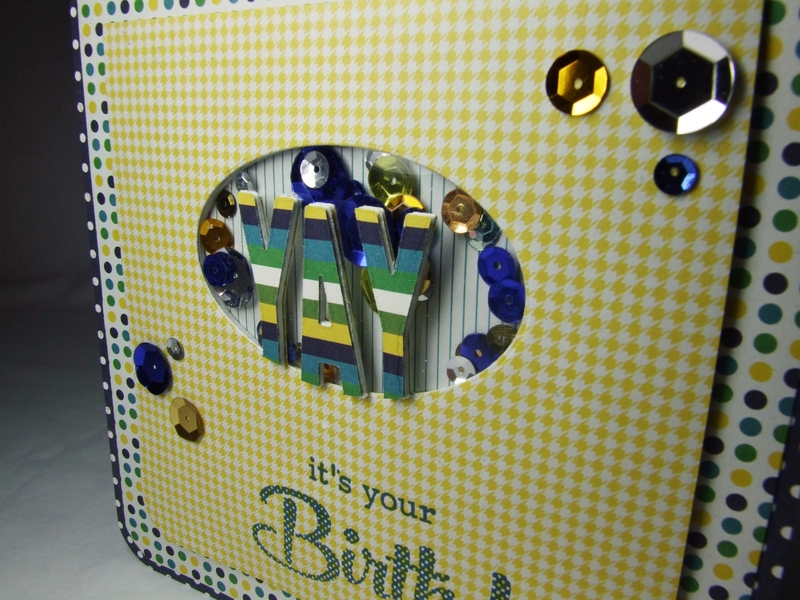 Next > …a little bit on the dark side…..
Hooray for your first shaker card! It is adorable! 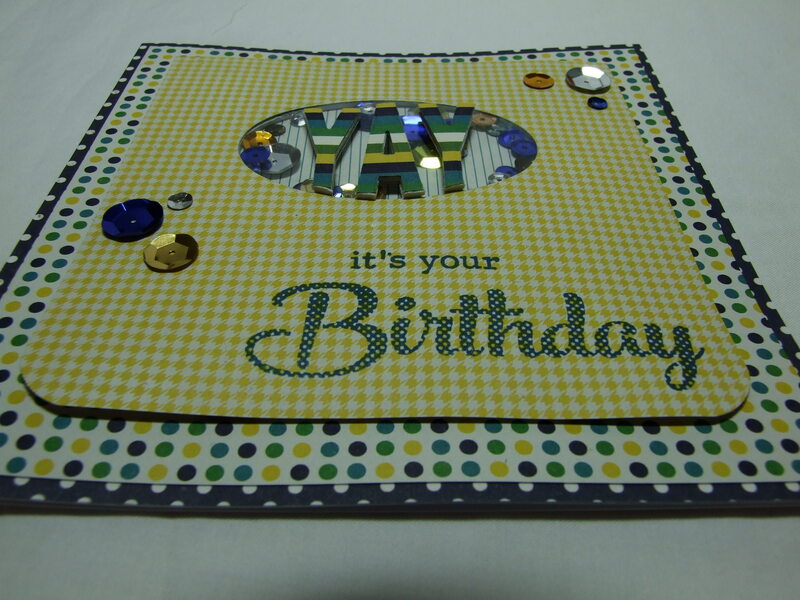 Love the yellow gingham!! What a fun shaker card! Perfect for celebrating a birthday! Such a fun shaker! I love the stripes on the alphas!